Mickey’s Italian Deli in Hermosa Beach has been a go-to stop for beach goers since 1953 selling cold cuts, cheeses, sandwiches, lasagna and a ton of other goodies (they also cater). Michael Angelo “Mickey” Mance started Mickey’s Italian Delicatessen & Liquor Store in 1953. Just a short walk from the beach, it quickly became a favorite spot for surfers and beachgoers. It has now become a beloved landmark in the South Bay. 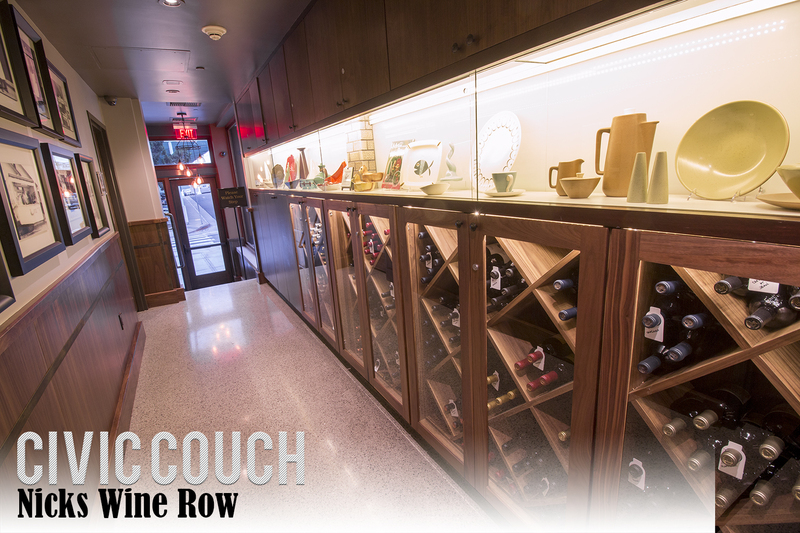 Civic Couch host Steve Napolitano sits down with the owners to discuss the history and future of this Hermosa Beach landmark deli. 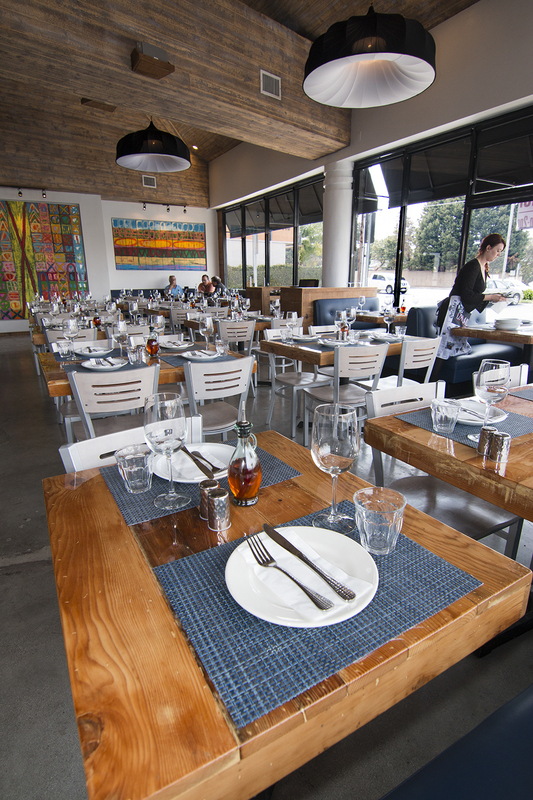 Los Angeles fine dining found in a strip mall on PCH in Hermosa Beach? Welcome to Baran’s 2239 restaurant, a culinary collaboration by restaurant owners and brothers, Jonathan and Jason Baran. Helming the kitchen is culinarian-in-chief, Executive Chef Tyler Gugliotta, who is elevating the dining scene in the South Bay one innovative plate-at-a-time. 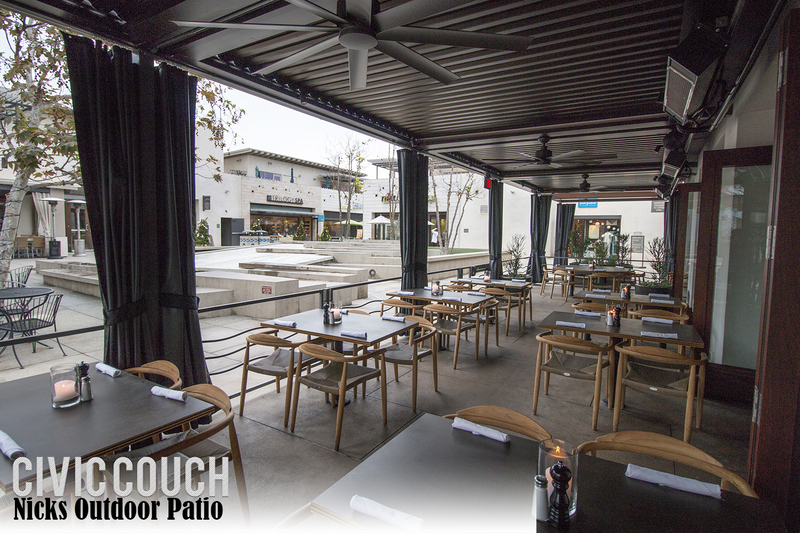 Civic Couch host Steve Napolitano sits down with Jonathan, Jason and Tyler in their Hermosa Beach restaurant to learn more about what goes into their success. Thanks to Manhattan Beach Toyota for presenting this video. I have lived in the South Bay for approximately 15 years and have driven by the Proud Bird countless times without ever stopping. Every time I drive by I think “that place really looks interesting, I should stop in one of these days”. One of these days finally came around, on a shoot for the Easy Reader Newspaper. It’s much larger than I expected, I always though it was the same size as a Denny’s or Coco’s. 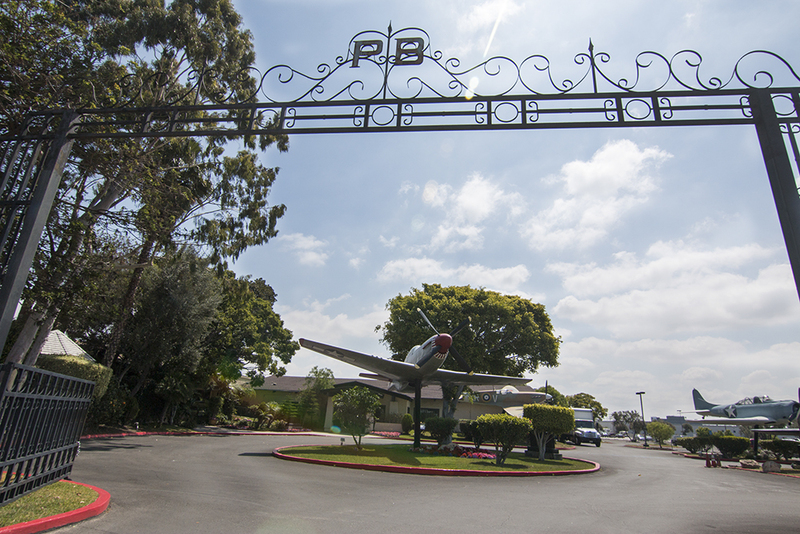 The front Entrance (off Aviation Blvd) to the Proud Bird restaurant. 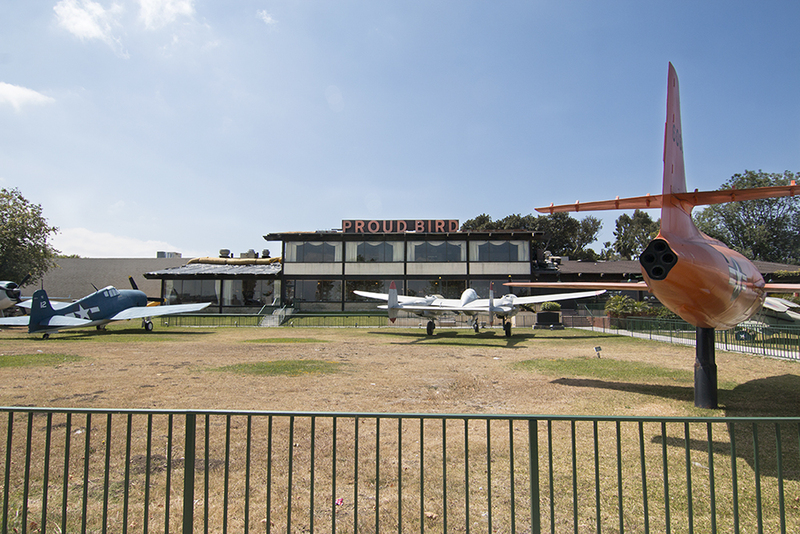 For those of you unsure about what the Proud Bird is, it is an aviation themed restaurant located on Aviation Blvd right next to LAX giving diners front row view of airplanes coming in for a landing. 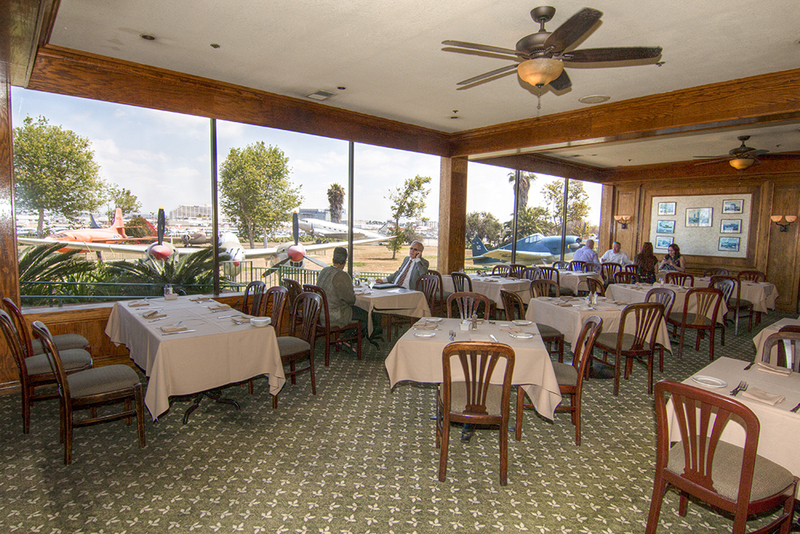 With windows lining the main restaurant seating, diners can watch planes landing at LAX and view classic planes parked on the Proud Birds back yard. 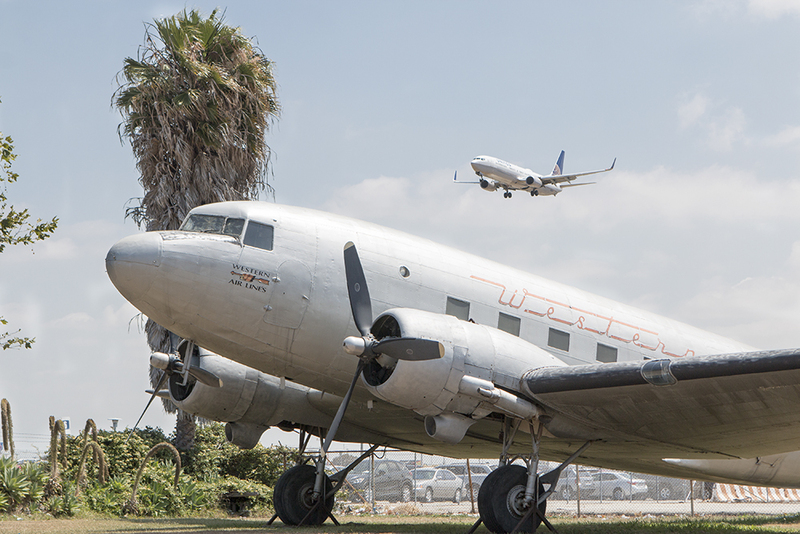 Diners enjoy a view of both planes landing at LAX and antique planes parked in the back yard. I was there for lunch. 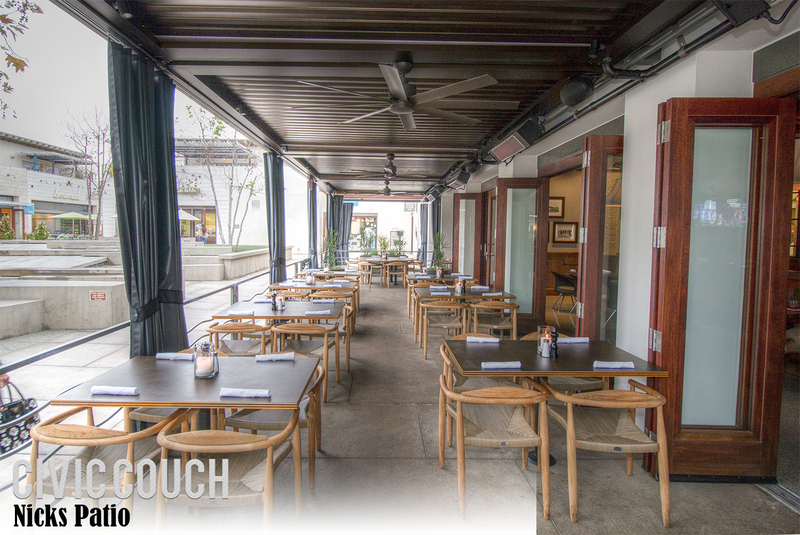 They are only open for lunch M-W from 11am-3pm, and they are open for lunch and dinner Thurs-Sun 11am-3pm and 4-8. They also have a Sunday brunch from 9am-3pm. During my lunch time visit, they were serving a buffet as well as off a menu. 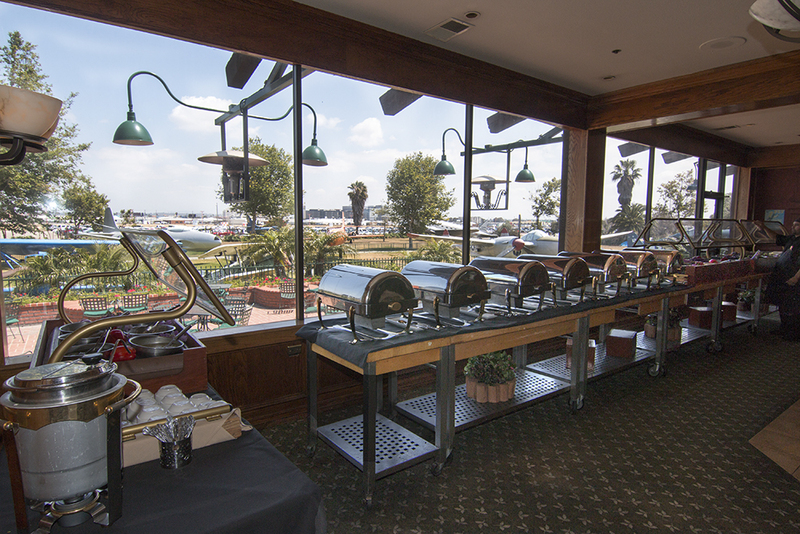 The buffet had plenty of food (meats and seafood) as well as a salad bar and desert table. After lunch I took a walk outside to take a closer view of their planes and the incoming planes to LAX. I’ve never been much of a plane enthusiast, but it was fun to watch the modern planes fly over the antiques. 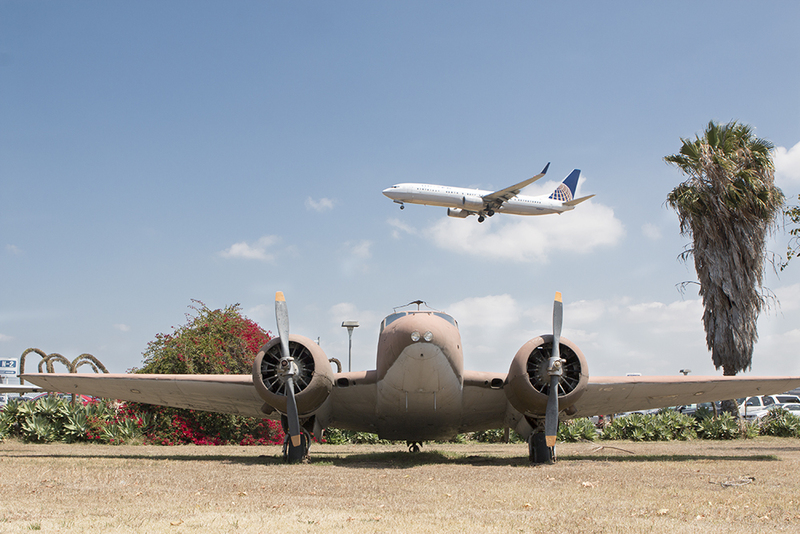 A plane flying into LAX over an antique Western Airlines plane. One of the biggest surprises was how big the Proud Bird is. They are more than a restaurant and planes. They have 8 banquet rooms and their main ballroom offers a seating capacity of 1,200 guest. 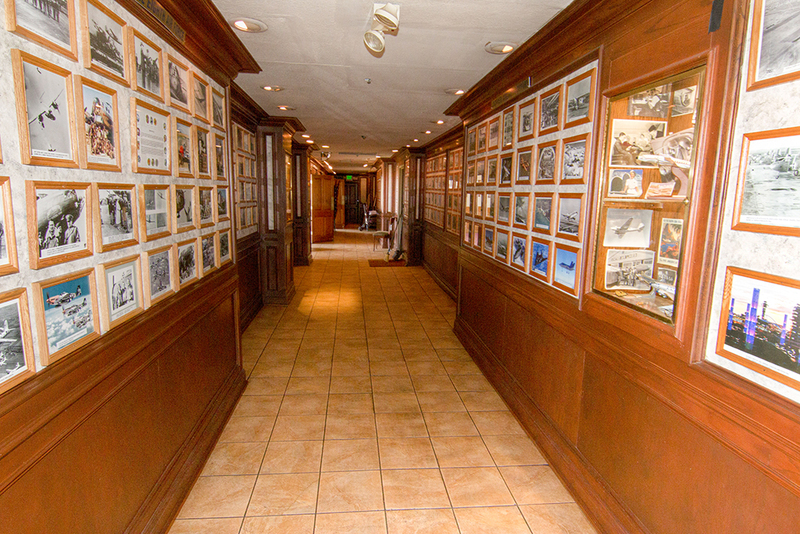 I was also impressed with their aviation memorabilia which lines the halls and the walls. Overall I would recommend making a stop at the Proud Bird for a meal and a show, even if you’re not an aviation geek! To read the full culinary review from the Easy Reader, CLICK HERE. Looking back at the Proud Bird from their back yard. 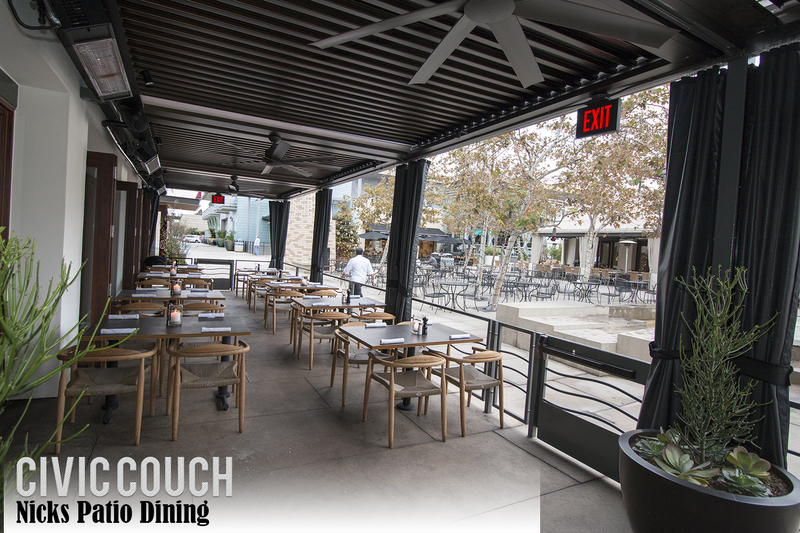 There are couches and chairs towards the entry for customers waiting for a table or those wanting to relax with a cocktail. Welcome to North Manhattan Beach, more commonly known as El Porto. This section of Manhattan Beach is located 3 miles south of LAX. 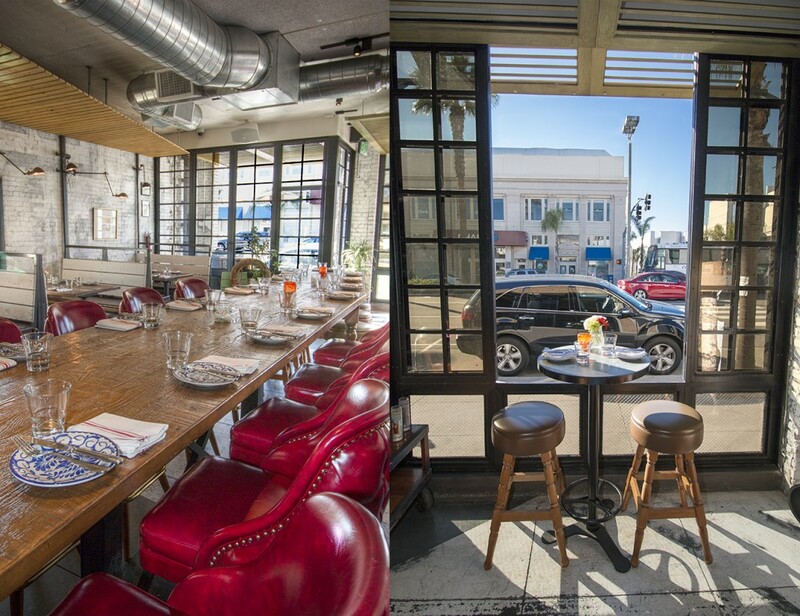 The main road through El Porto is Highland ave. Highland Ave is lined with quaint-small town stores, restaurants with outdoor patios, vibrant bars, hotels, gyms, laundromats, spas and liquor stores. Take a downhill walk west from Highland and you will end up on the strand. In this part of Manhattan Beach the strand is separated into two paths, one for bikes and one for walkers. The bike path is located right against the sand. This stretch of beach is home to world class volleyball, great surfing and a cafe located right on the sand. 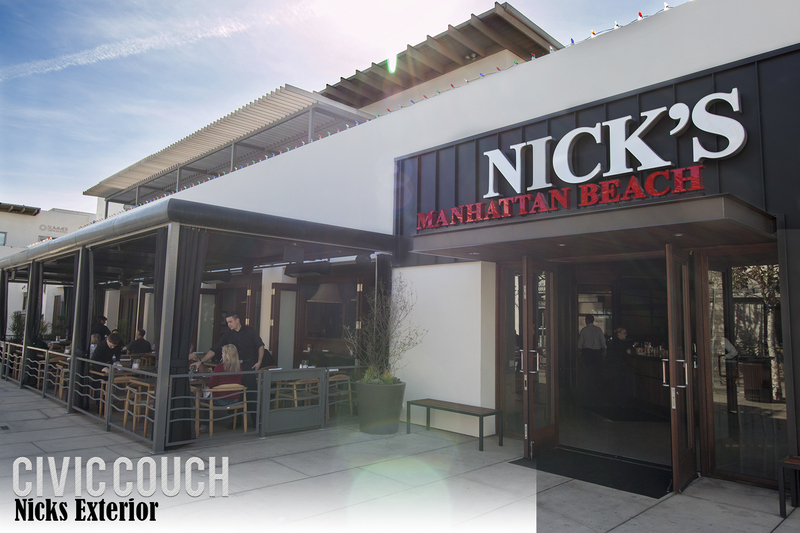 The El Porto / north Manhattan Beach real estate ranges from older-rustic homes to the more modern beach front mansions. 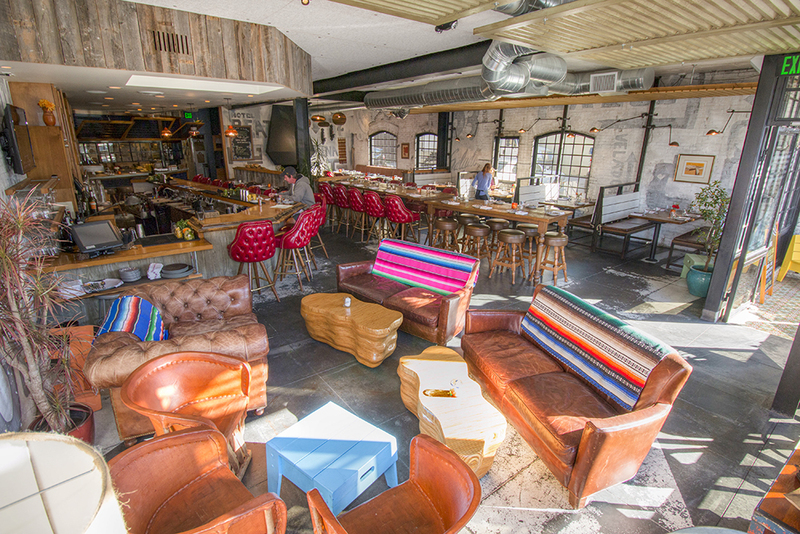 El Porto has it’s own charm, making it stand out amongst the other south bay neighborhoods. 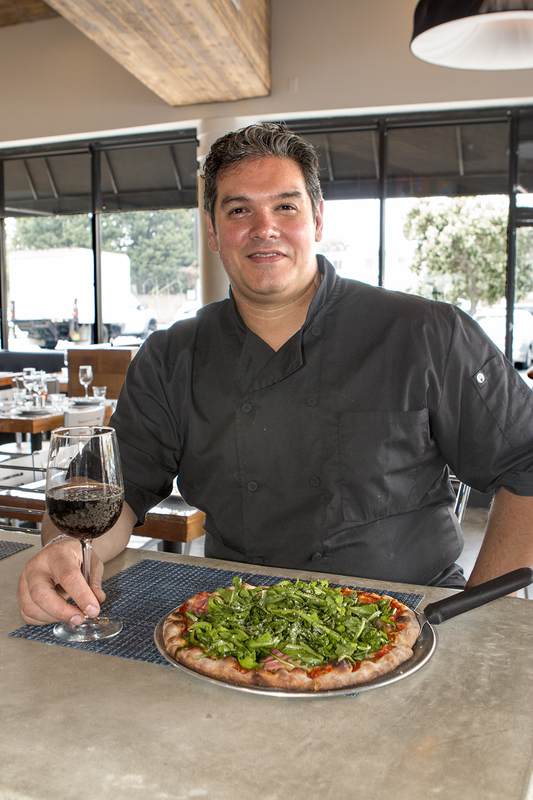 I visited Orlando’s Pizzeria in Redondo Beach for an article for the Easy Reader Newspaper. I was greeted by Orlando Mulé, owner of Orlando’s, and he gave me a little background on the restaurant. 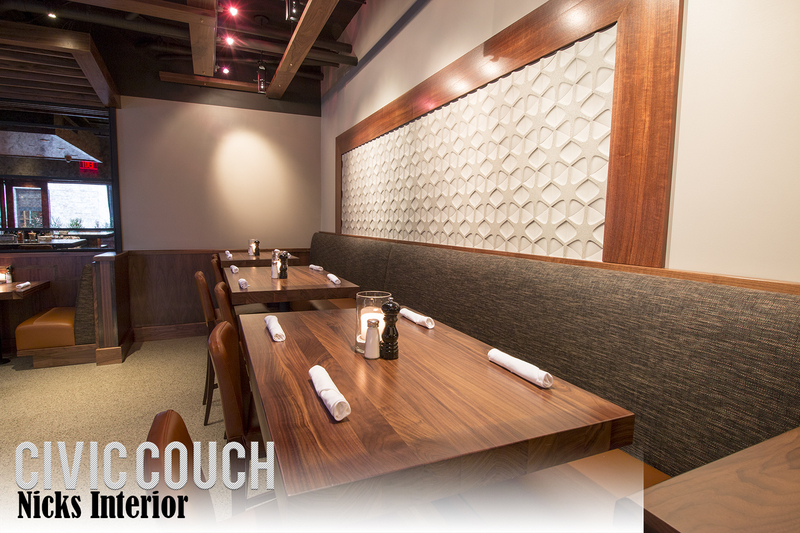 The restaurant itself is modern, and offered both bench seating and table seating. 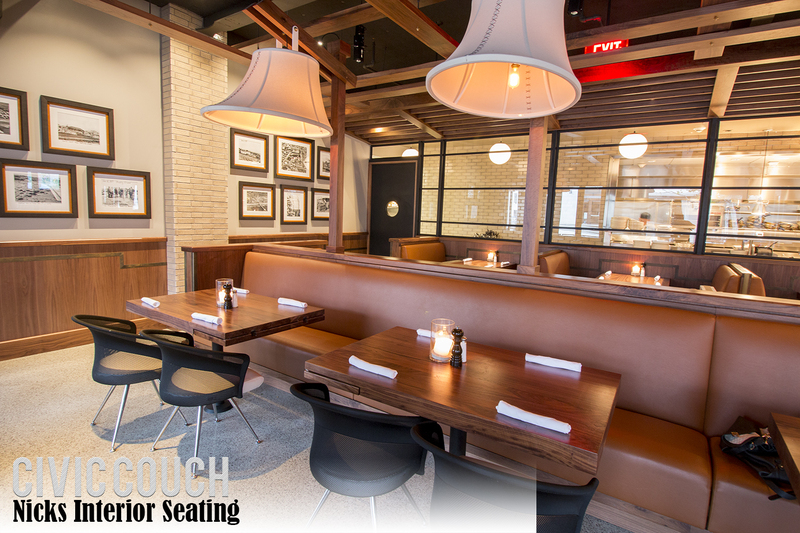 I’ve always preferred bench seating, guess it’s just more comfortable to me. I took a couple photos (see below) for the article then stuck around for lunch. The service was great and the food was good, I could tell it was just prepped for my order. 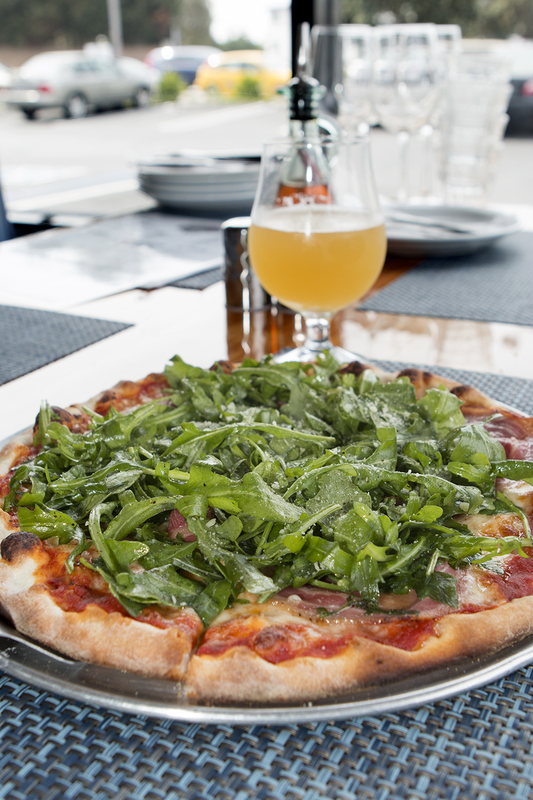 They serve much more than pizza – owner Orlando Mulé lived in Quebec for years and his restaurant offers poutine, Montreal smoked meat, and other unusual items along with homemade Italian specialties. 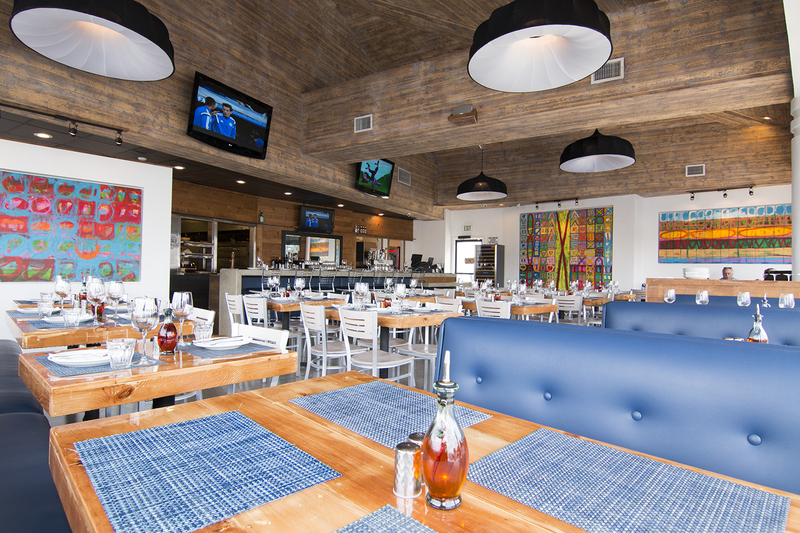 The restaurant is a collaboration – the eye-catching art on the wall is courtesy of Orlando’s wife and partner Carole Beauvais. 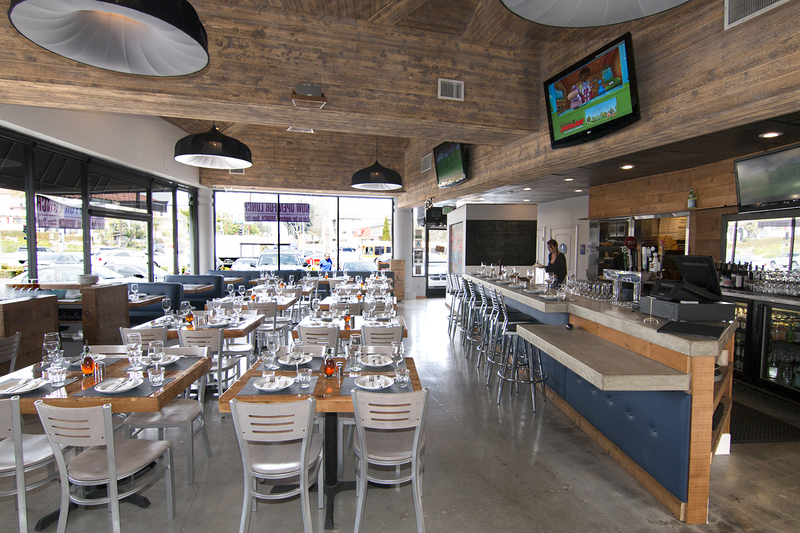 Anyways, here is a quick view of the restaurant: Go and check it out, they are at: 1000 Torrance Blvd. in Redondo Beach. 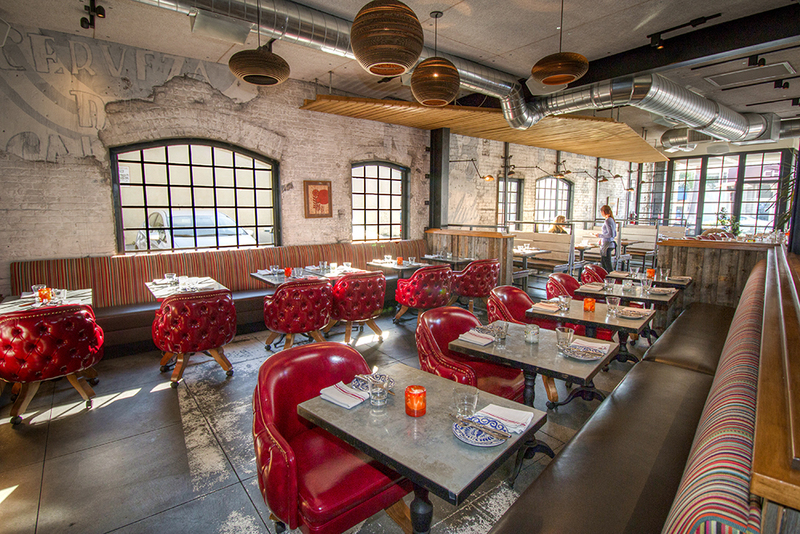 Do you ever wonder what a restaurant looks like before going? 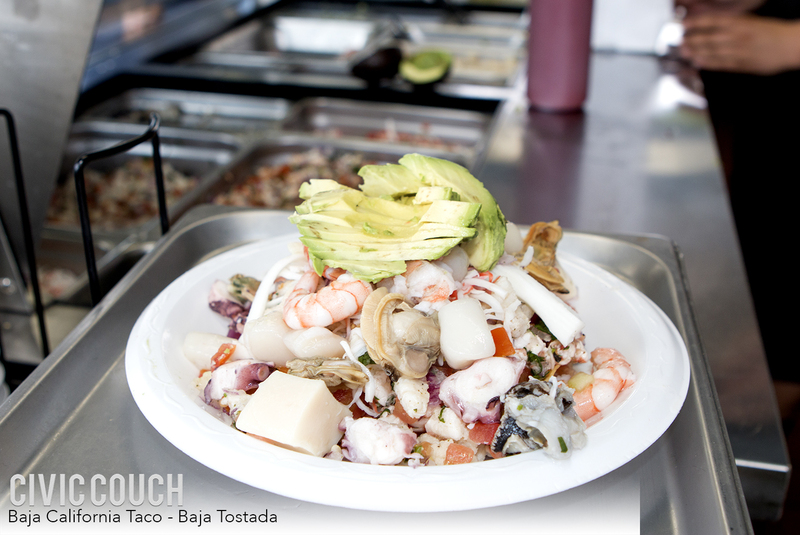 With our Restaurant View we bring you photos and our 2 cents worth of South Bay Restaurants. Disclaimer: I do not like seafood and personally did not try the food. This location on the corner of Artesia Blvd and Inglewood Ave in Lawndale seems to change with the seasons. Did they get it right this time? From what I saw the answer would be yes. 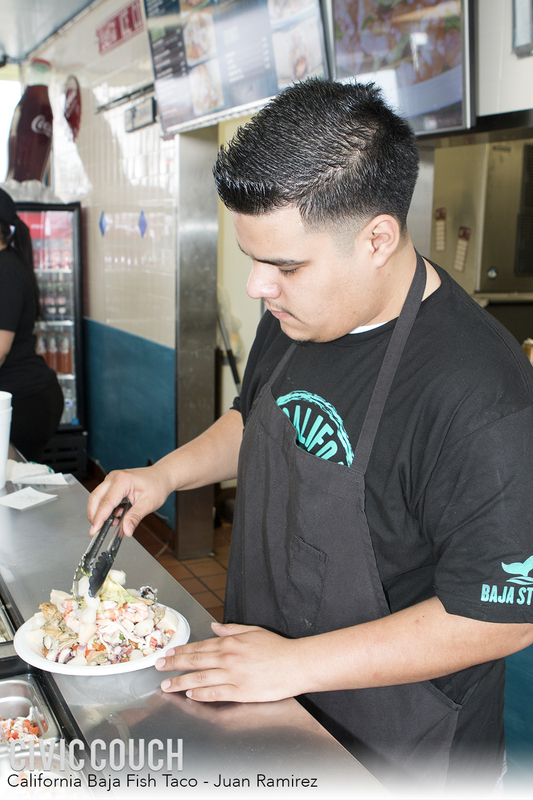 The restaurant was packed and manager Juan Ramirez says it’s been busy since they opened. 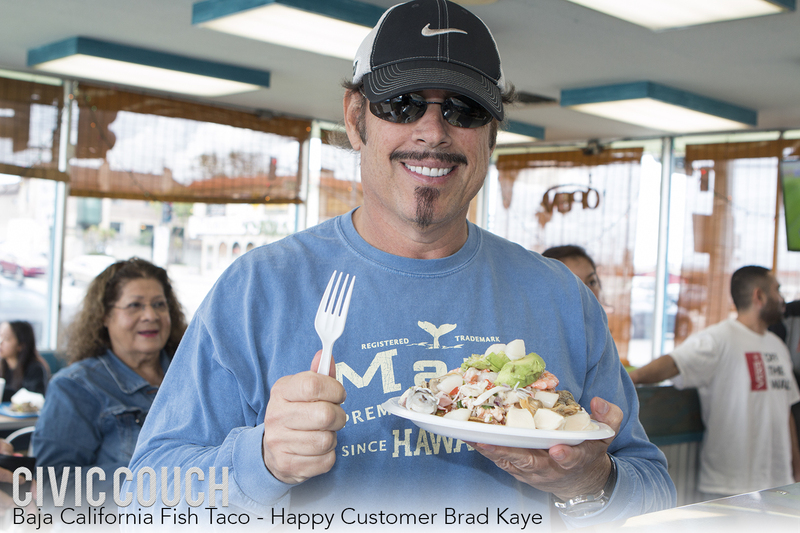 I spoke to customer Brad Kaye and he loves the food and service. 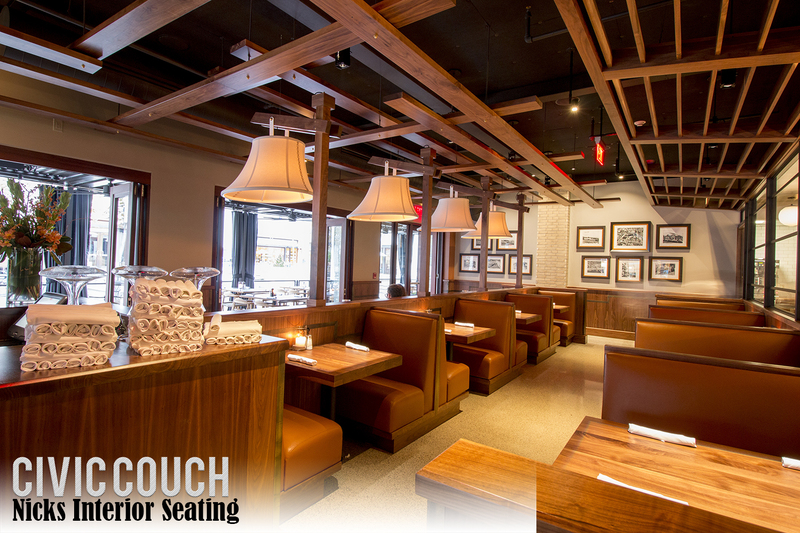 The interior is your basic “order at the front” type restaurant with plenty of booths for dining in or you can order to go. I also researched Yelp and Baja California Fish Tacos received 4 1/2 stars out of 5 with 80 votes. 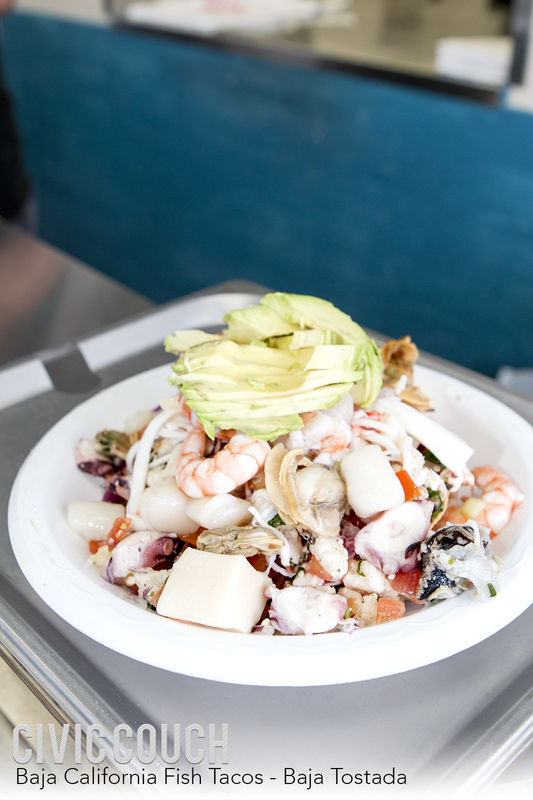 The reviews were very good and people seemed most happy about the ceviche and the low prices. Give it a try and leave us a comment! 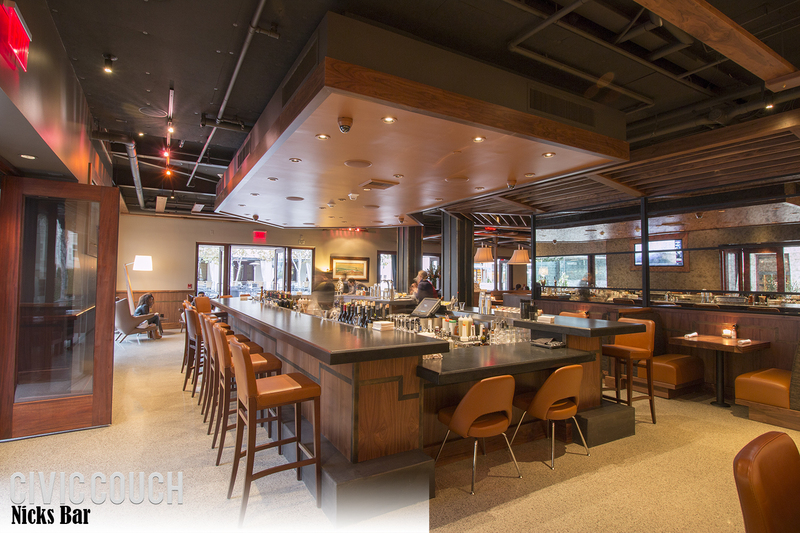 Ever wonder what a restaurant looks like before setting reservations? 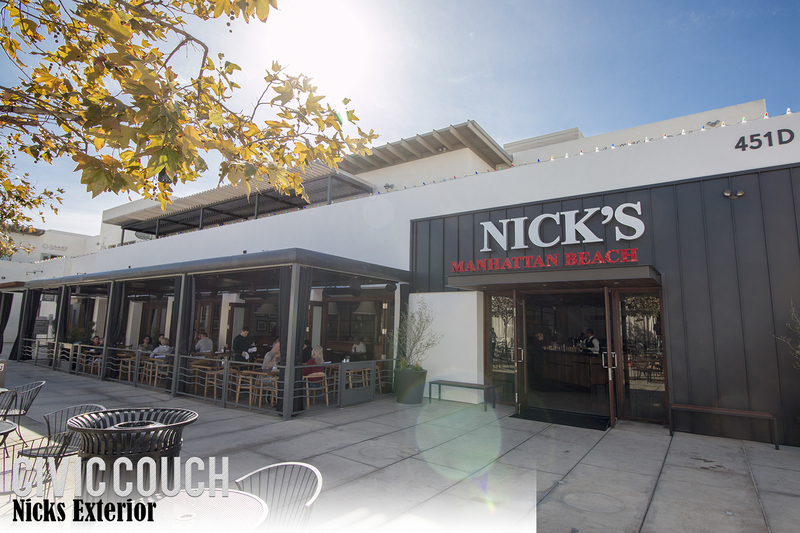 I recently shot Nicks Restaurant for an Easy Reader Review (click here to view the review) Nicks is located in Manhattan Beach’s Metlox Plaza. I did not review the food but was impressed with the layout and design. The exterior seems relaxed while the interior has more of a classic feel. I have added these photos to give you an idea of what to expect when dining there as far atmosphere. The staff was very nice and professional. I was on a photo assignment for The Easy Reader Newspaper Restaurant Review and they sent me to Mandovi in El Segundo. Normally I get to try some of the food that I shoot, but this time I was in a rush and did not get a chance to try any of the food. It looked great, so I decided to come back for dinner with my wife and daughter. I’m not a food critic, if you want the full official review you can find it here I was throughly impressed with everything I had, as was my wife and my very picky 5 year old daughter. If you’re in the mood for Indian Cuisine, I highly recommend giving Mandovi a try.